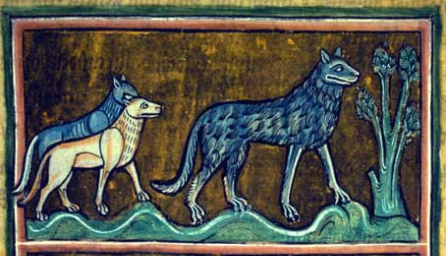 Wolves were numerous in Ireland in the sixteenth and seventeenth centuries. So numerous indeed that they posed a threat to the livelihood of farmers. At various times generous bounties were given for the destruction of wolves, particularly during the Cromwellian period. In 1652 the Commissioners of the Revenue of Cromwell's Irish Government set substantial bounties on wolves, £6 for a female, £5 for a male, £2 for a sub-adult and 10 shillings for a cub.